He's led a nomadic life when it's come to his hockey career. But throughout all his stops in North America, Alex Auld remains grounded and grateful for the experience. It's been almost 12 years since the Florida Panthers selected him as the 40th overall pick in the 1999 NHL Entry Draft. Since that time, the now 30-year-old goaltender has played for eight NHL teams, including two turns with the Panthers. But in spite of literally playing at every corner of the North American hockey landscape, Auld, now a member of the Montreal Canadiens, doesn't view his big-league career with even a twinge of disappointment. Rather, the former Ontario Hockey League product is grateful to have seen the game as few others have. Over his time in the NHL, Auld has gained a reputation for being an ideal teammate, supportive of his fellow goaltenders and impeccably prepared for when he gets the call to start or come in on a relief basis. He made his first big-league start a memorable one, allowing just two goals in Vancouver's 4-2 victory over the Dallas Stars on January 23, 2002, just 16 days after celebrating his 21st birthday. During the 2004 Stanley Cup Playoffs, goaltender Dan Cloutier was injured early on in the Canucks' first round series with the Calgary Flames. Auld eventually laid claim to the starting role in Game 5, as the Canucks pushed Calgary to the distance in their series, eventually losing in the seventh game. Auld spent the 2004–05 NHL lockout back with the Manitoba Moose, this time pairing with veteran netminder Wade Flaherty. He also appeared for Canada at the Spengler Cup in December 2004, helping the team to a third-place finish. He returned to the NHL for the 2005–06 season, initially as the backup to Dan Cloutier. However, on November 20, 2005, Cloutier injured an ACL, eventually thrusting Auld into the No. 1 role. Auld went on to capture the Cyclone Taylor trophy as team MVP, although the Canucks would miss the playoffs. He then joined Team Canada again, this time at the 2006 World Championships, where Canada finished fourth, losing the bronze medal game to Finland. In June of 2006, Auld was part of the high-profile, multi-player trade that sent him, Todd Bertuzzi, and Bryan Allen to Florida for Roberto Luongo, Lukáš Krají?ek, and a sixth-round draft pick. It didn't work out quite as Auld had planned. Still, Auld found some solace in knowing he gained something from the experience. On July 1, 2008, Auld signed a two-year contract with the Ottawa Senators as an unrestricted free agent. He came within one second of recording a shutout in his Senators debut against the Pittsburgh Penguins in Stockholm, Sweden, surrendering a power-play goal just before the buzzer. In the past two years, Auld has suited up for three teams. He was traded in the off-season on July 8, 2009, to the Dallas Stars in exchange for a sixth-round draft pick in 2010, was claimed off of re-entry waivers by the New York Rangers last February 27 and signed a one-year million contract with the Montreal Canadiens last July. Playing in Montreal has been an ideal fit for both player and team. 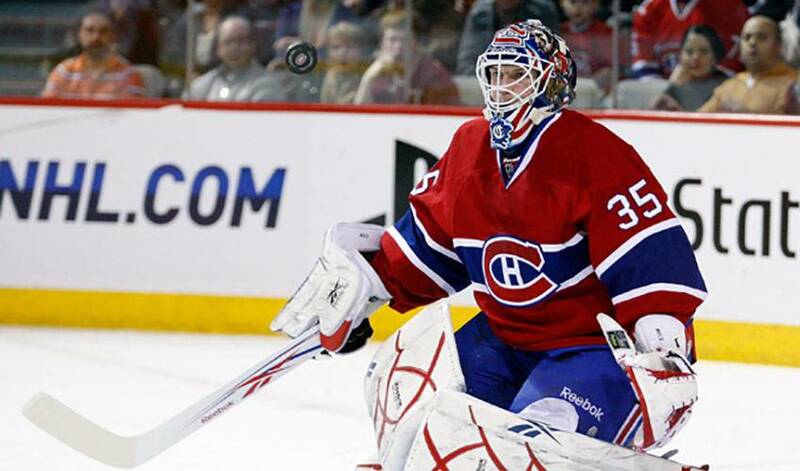 His relationship with goaltender Carey Price, who is enjoying a fine season in net, is just what he hoped for. And for the well-traveled and well-respected Auld, it is yet another positive experience, in a truly unique hockey career, one he wouldn't change for anything.